Okay I want you to do something for me... think about the word "craft". What's the first thing that pops into your head, and be honest. Now hold that thought because today we have a visit from my inner word geek and she's really worked up about the denigration of this word. Oh my, she's here already, "denigration"?! Usually I can keep her in the back of my head, though she's prone to popping out with comments like, "Don't use the word "wonderful" again, plu-eeze! ", and the occasional non sequiter remarks like"I love the word exacerbate", or "why doesn't anyone say popinjay anymore?" but she's here and toting a dictionary today so watch out! This all started with a conversation I had last weekend. A couple of my friends were discussing getting together for a craft night so we could bounce ideas off each other, maybe learn some new skills, and generally let our creative sides out to play and grow. I asked another friend if she might like to join us and she got a horrified look on her face and replied that she wasn't "crafty" and that was "something she would do with her kids." I was astonished! What would make a terrifically intelligent and highly creative person respond so negatively? "Crafty?!" Ouch! So the main word I'm seeing there is "skill". Skill is something that is learned, usually through hard work and lots of practice right? Some lucky folk are born with innate talent but they still have to acquire skill. Skilled artistry is the major component of most of what society considers "Art" and most artists will describe the process of acquiring that skill as "learning their craft". But here's the problem, despite the fact that they are synonyms, somewhere along the way craft and art became separated in our minds. Art became an acceptable and admired way to work but craft was relegated to a frivolous pursuit involving popsicle sticks and lots of glue; an unimportant activity best left to women with nothing better to do and small children. Somehow we went from William Morris and the Arts and Craft movement to an occupation for children, camp counselors, and Martha Stewart wannabes. Now I can see how it happened. First off there's the tendency to discount any craft that is mainly practiced by women. 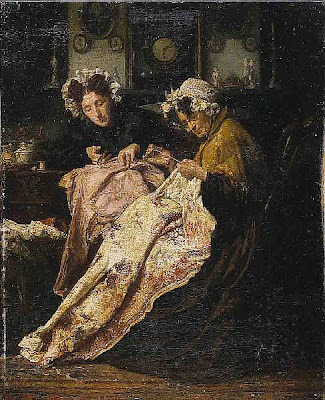 Sewing, knitting, embroidery, crochet have always been seen as arts that women learn, making them "woman's work" and thus less important or artistic. Making the practice of these arts a "crafty" pursuit belittles the amount of time involved in really learning these skills. These crafts are seen as somehow less worthy than say painting or pottery...despite the fact that they require the same amount of skill to do well. So we venerate the great painters, writers, and musicians of history but the seamstresses remain unknown. Secondly, for years now we've had all kinds of folks on television telling women that they can make this and that craft with just a little time and almost no effort if they'll just buy this book/paper/glue/pattern. It's become another form of mass consumerism. And as a veteran of many craft shows I can tell you that lots of people have bought into the notion that just about anything constitutes "crafts"...just wind some wire and beads around a wine glass or glue some silk flowers to a pin and you're in business. On one hand I think it's wonderful that more people are exploring their creativity and playing with all kinds of art mediums but if it doesn't require skill can we really call it craft? So there we are... It just seemed important to me that I put up some kind of defense for the word and hopefully help it to recover some of the respect that it deserves. Let's embrace the word "Craft" and fight the derogatory baggage that it's acquired in the 21st century. Don't be afraid to craft...you just might learn an art! So now what did you think of when I first mentioned craft? Did I change your mind any? 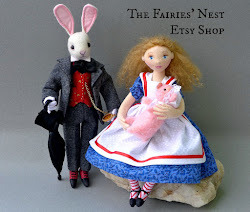 And just in case you're still with me, I did load some new dolls in the shop so go take a peek. And I promise to keep the word geek in check for awhile. had a great time reading this post. Wonderful thoughts, thanks for sharing! I get what you're throwin' down! I've noticed that if I say I'm a crafter people aren't really interested but if I say I'm an ARTIST they perk up and want to know what kind! i like this post. i'm in complete agreement with you. there's actually been such a change in the "Art" world (esp. among younger folks) in how they view craft -- that divide between "high" art and "low" art getting less and less. we watched this documentary the other night called "Objectified" and while it's not about craft exactly, it is about designers, even industrial designers, the people who are the ideas behind regular, everyday objects that we completely take for granted. i know it's not exactly the same thing but there were some great interviews with people (even curators) who are on your team instead of the other doodad's team. I think crafting has gotten a bad rap because the end result is something that can be used. A painting is made for the sole purpose of entertaining and inspiring the viewer, whereas a quilt is made first and foremost to keep you warm at night. I'm not sure how the line can be broken down because some crafts are truly gorgeous. Then again, I might be slightly biased because I'm a fine artist, ie an illustrator. I love the word geek! Please, let her out more often! I am totally with you here. Go girl - let out your inner Vigilante Librarian! I couldn't agree more with over this article; it's a shame that "Craft" has come to mean, in the mainstream, something less than an artform, though I maintain that there will always be those who see it for what it is, and venerate those unsung artisans. The mainstream just doesn't get it, and maybe ... See Morethat's the way it will always be. I did especially love this: "So we venerate the great painters, writers, and musicians of history but the seamstresses remain unknown." So very true, and yet, an artist like myself, who doesn't really sew or embroider, has tremendous respect, even awe for the lowly seamstress - reminds me of The Tailor Of Gloucester, and the little mice who were the real talent in that shop - though the cat's ability to play the shell game was pretty impressive, though not really an art! Now I think that anything that you make with your hands is art. Cooking, sewing, painting, pottery, wood working, is all art. The great thing about using the word craft when you talk about art making is that craft implies a well made object. I have seen many pieces of art with little craft behind it. It is the art that is made with crafting principles that is well made and will last a life time. Anytime a soul is inspired, art is created. And you are truly inspired Cynthia! Thought provoking. Do you ever watch Antiques Roadshow? I love it when I see antique needlework assessed as really valuable. And now I have to go research the "arts and crafts movement", which is referred to often. Maybe Etsy represents the NEW arts and crafts movement? I was joking recently, maybe 100 years from now my knitted woolies will be on the antiques roadshow and be worth a few thousand? Thanks for articulating what I've thought for years. nice post!! I fully agree! 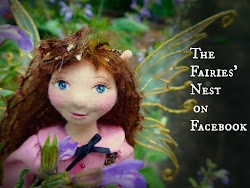 Wonderful post, I love that I am an Artist but working to master many crafts! Cyn! What a great post! The word 'Craft' usually gets me thinking down the 'country craft' lane...believe it or not, the word is actually offensive to some artists! We need to take back the word! *Craft! * *Craft! * Own it now! Don't go back in the box! Keep ranting. You write very well and have made some important points. I appreciate your post. 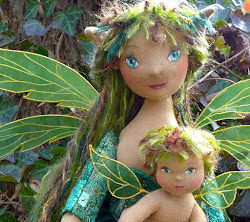 I am a fiber artist and have long thought of myself as a craftswoman who is developing the skill of her craft. The act of working at your craft, learning new skills improves your product. Every crafts person knows this. We just get better with practice. What is funny is that artists say the same thing. They work hard to learn the skills of their 'craft'. Thank you to all of you for your wonderful comments! Wow...your responses have been amazing. This is even a bit of controversy in my lace guild. I tat lace. It took me years to perfect the craft. It's only when I teach someone that they realize how much is involved. I make it look easy. Within my guild however, there are many lacemakers in different areas. The bobbinlacers used to think they were the "real" lacemakers, but that has changed. I notice they still stick up their noses at crocheted and knitted lace though. Just a little. We're currently preparing for a juried exhibit at our arts center and there have been several remarks about not wanting it to be "crafty". I think what they mean is the cheap mass produced items that are made to look lacy. And when you have sweet people in other cultures producing $1 big thread crocheted doilies, it's hard to fight the resulting perception. Finished Dolls and Free Stuff! Happy New Year ...at Last!